Add a luscious green look to your garden this year using moss, one of nature's most prolific groundcovers. Learn how moss softens the hard edges of a garden and provides a velvety background for other native plants. Identify 10 different species and how to successfully grow these miniature marvels. 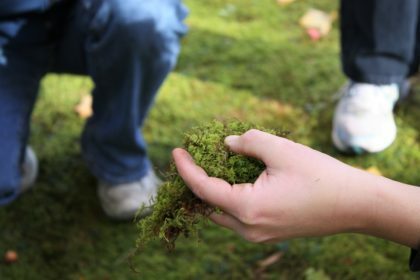 A demonstration on transplanting moss and maintaining Mt. Cuba Center's moss garden rounds out the class. Take home a sample to start your own plush carpet of emerald beauty. Class size is limited. This class qualifies for the following professional credits: 2.5 NOFA AOLCP.